Hanson’s Store was owned and operated by Grace Hanson. She was brought up in this home located at 190 Main in Winter Harbor. She lived here until “old age”-what was considered old age in 1951 when my parents bought the house from her is unknown to me. Maybe my age today! I have heard from a lot of people who enjoyed shopping at this store. It was described as a “dry goods” store and for some reason I have interpreted dry goods to include sewing supplies. When I grew up in this house my mother was a wonderful seamstress. She could design and create anything she set her mind to making. I also began sewing. Much to my mother’s chagrin. My skills and attention to detail were totally non existent. Thankfully I eventually learned the value of precision and patience. Sewing seems to have lost it’s appeal in our culture today. There are large franchise stores that carry the supplies, but maybe it isn’t unending choices that attract us to sewing but the small things you can enjoy and benefit from while shopping at a family owned business. 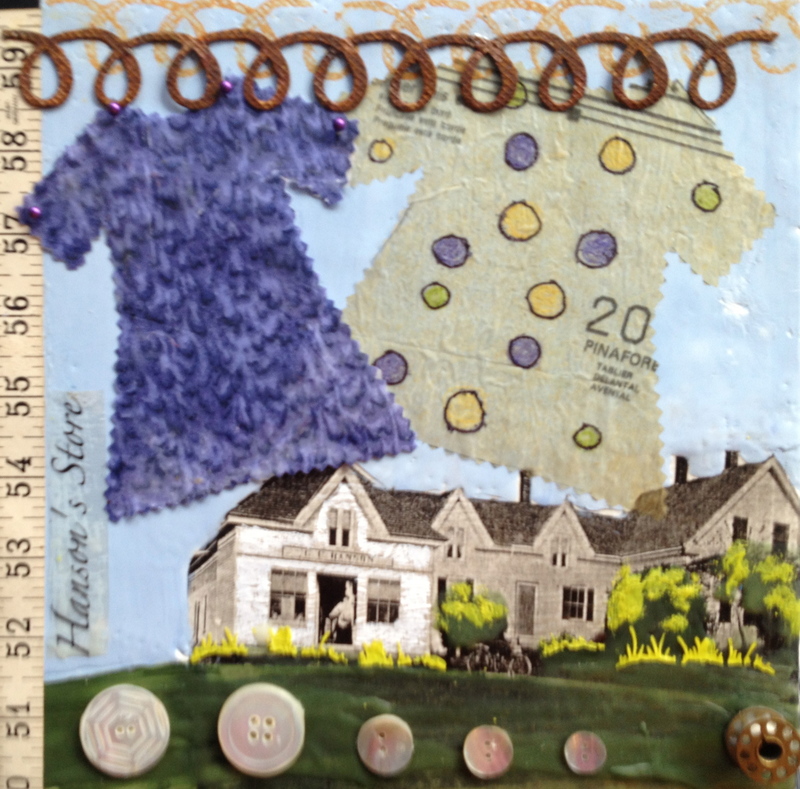 The jury is out-but I know that I would be much more likely to continue sewing if I had a choice like Hanson’s Store.